Mindful Making with art therapist Sharee Allen. Join us weekly in the warming tent for crafts and take advantage of the quiet ice for little ones as they learn to skate! Free entry with concessions purchase for non-skaters. Admission is $6, skate rental is $4. Amenities include lockers, benches, a warming tent, and a full-service concessions tent with hot and cold snacks, and alcoholic and non-alcoholic beverages. 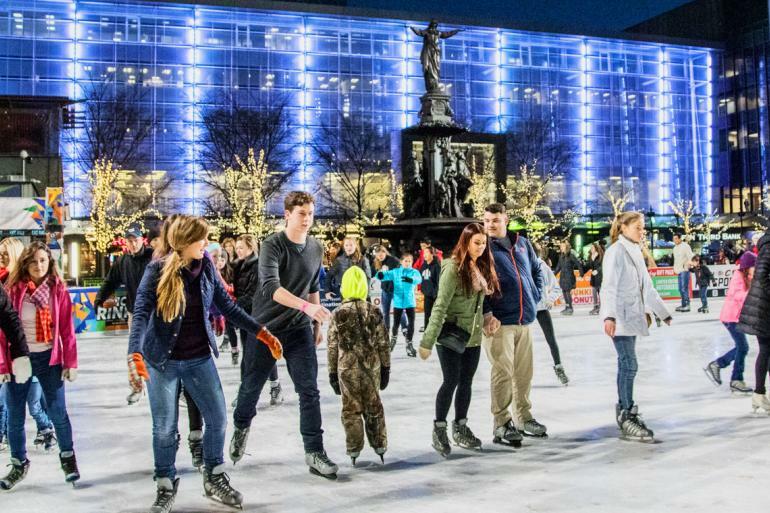 The rink is open to skaters of all ages, 7 days a week.